In the second episode of the first season of "The Legend of Korra" ("A Leaf Rides the Wind"), Korra, frustrated at not getting the hang of air bending and of living with so many restrictions under Tenzin's tutelage, stomps off from a meditation lesson to get some lychee juice. Tenzin: "I know you're frustrated, but these teachings will sink in over time. Then, one day, they'll just click." Korra: [Deep breath. Short pause] "Yeah. It's not sinking in yet. I'm gonna go get a glass of lychee juice [she pronounces it LEE-CHEE, the Mandarin way]." Ikki: "Daddy! Can I have some lychee juice too?" 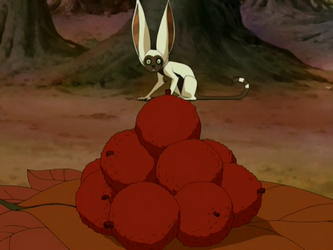 In the world of "Avatar", Lychee nuts are found in the Earth Kingdom and Fire Nation as well as around the Western Air Temple. 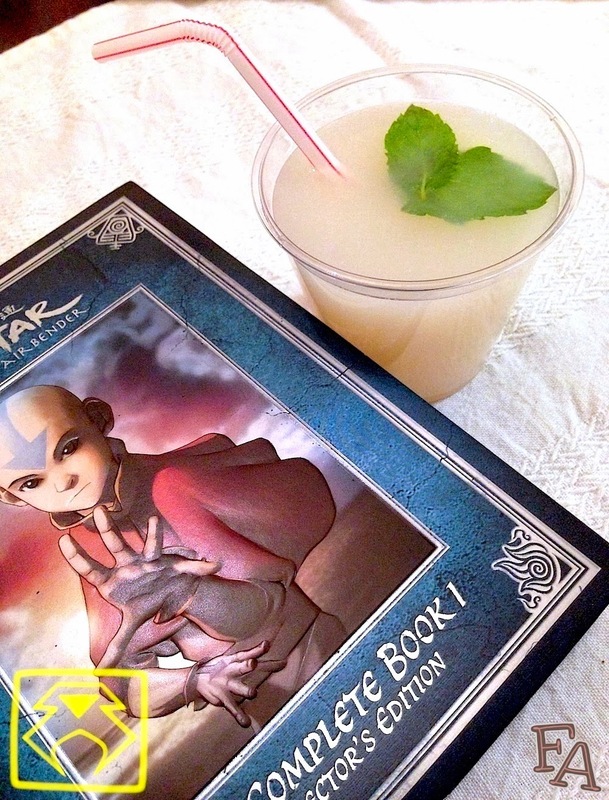 The first mention of lychee nut juice though comes from this episode of "The Legend of Korra" (s.1, ep.2), so one can assume it is a common drink in the United Republic of Nations and its capitol, Republic City. Outside of the world of "Avatar", lychee nuts are common in Asia and even though they're called nuts, the lychee is in fact a fruit with a bumpy, red rind covering a soft, pale pulp. The fruit is piney, floral scented, and sweet. Note: Because lychees are super sweet the lemon juice in the recipe below is used to offset it. 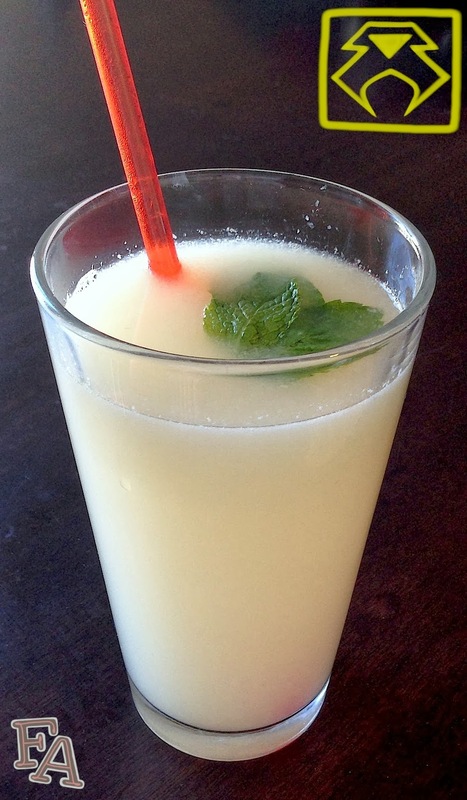 If you'll only be adding water to the lychee juice, you can try it without the lemon first & stir it in to taste. If you'll be making the fizzy lychee juice with Sprite, using the lemon juice is a good call as Sprite has a sweetness of its own. Combining the club soda with the Sprite tames the sweetness a little bit as well. 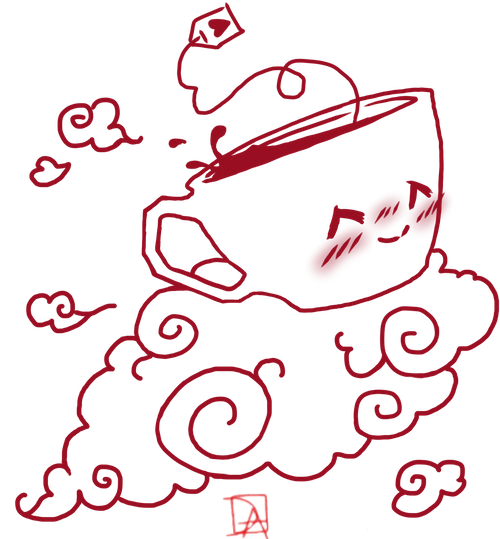 In "Avatar: The Last Airbender", Uncle Iroh served lychee tea in his shop, "The Jasmin Dragon", in the Earth Kingdom of Ba Sing Se. To make your own cup of lychee tea simply open a can of whole lychees and pour some of the juice from the can into your (microwavable) mug or tea cup, about half full. Next, add water until you reach your desired volume of drink in the cup. Dunk in a tea bag of basic tea like green, black, or even mint (mint goes well with the lychee flavor). Place the cup with the tea bag into the microwave and heat for about 1min. 20secs. (depending on your microwave). Remove the cup from the microwave and press the tea bag against the side of the cup with the back of a spoon to release more of the tea essence. Remove the tea bag when the tea is at your desired potency. 1. 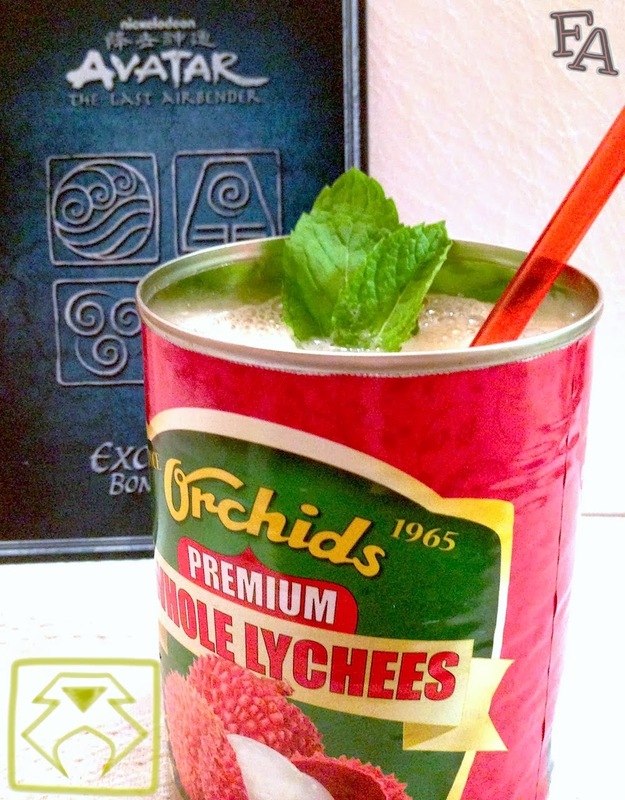 Open the can of lychees & pour the contents (water & fruit) into a blender (if there are any seeds, remove them). Blend until you have a cloudy, foamy liquid with no chunks of fruit, just pulp. Place a fine netted strainer over a pitcher & pour the contents of the blender through the strainer. Use a spoon to stir, press, & scrape down the pulp in the strainer to help the liquid get through. Once all of the liquid is in the pitcher discard the pulp. 2. Add the lemon juice to the pitcher. Next, add the water OR Sprite + club soda & stir. Pour into serving cups & garnish with fresh mint leaves (optional). Thanks for the input. The can of lychees I bought didn't have seeds, but if someone were to buy them fresh, yes, definitely take the seeds out!